We’ve designed several Cute Maps for marquee weddings over the years. This week we’re busting any pre-conceptions and showing you the beauty and endless possibilities, they offer. 1. Traditional The traditional style marquee is suitable to many wedding styles. The canvas sides and king poles not only help the shape and stability but also give it that distinctive classic feel. The poles, floors and versatile ceiling spaces give you a great canvas to build a stunning environment to fit your style. Canvas, bunting, pom poms, balloons, lanterns, fairy lights, branches & foliage can all be used in impressing inventive ways to create magical results. 2. Pagoda/Canopy These are great if you’re having a destination wedding with reliable weather. For a UK wedding, these are more of a practical but pretty feature than a venue, but as they stand alone without the need for poles they can be placed in almost any location and can be used for chill out lounges, kids areas, bandstands, bars or for the catering. 3. Yurt A vintage or bohemian theme wedding is perfectly placed in a yurt. Its traditional circle shape can be useful for all types of wedding needs from the ceremony area to the main reception, you’re only limited by your own imagination! The trellis walls and ceilings give you a great backdrop to dress and in themselves give a really rustic and authentic atmosphere. 4. Stretch/Capri This style of marquee is a statement piece, suited to contemporary airy summer weddings, but beware the UK weather! Additionally, you are again limited to erecting these in a grassy area but if you’re brave and have the appetite for a fully outdoor day these are a stunning element to your day. 5. Tipi The tipi has taken weddings by storm over the past 5 years. Bohemian, rustic and popular due to its festival feel. As they’re normally modular large or small gatherings are nicely accommodated and they’re also great for all weather types, so there is no need to worry about the changeable UK climate. Alternatively, you can buy your own second hand from places like eBay which may work out cheaper than a hire for traditional and canopy styles depending on the size and material. Shop around the hire sites, local companies and second hand options before making a decision, to ensure you’re getting the one that ticks all your boxes at the fairest price. Things to consider are access for guests and suppliers, toilet facilities for your guests, running water for guests and catering. Is there access to power or do you need a generator? Is there parking for your guests? These are just a few things to consider before you commit. 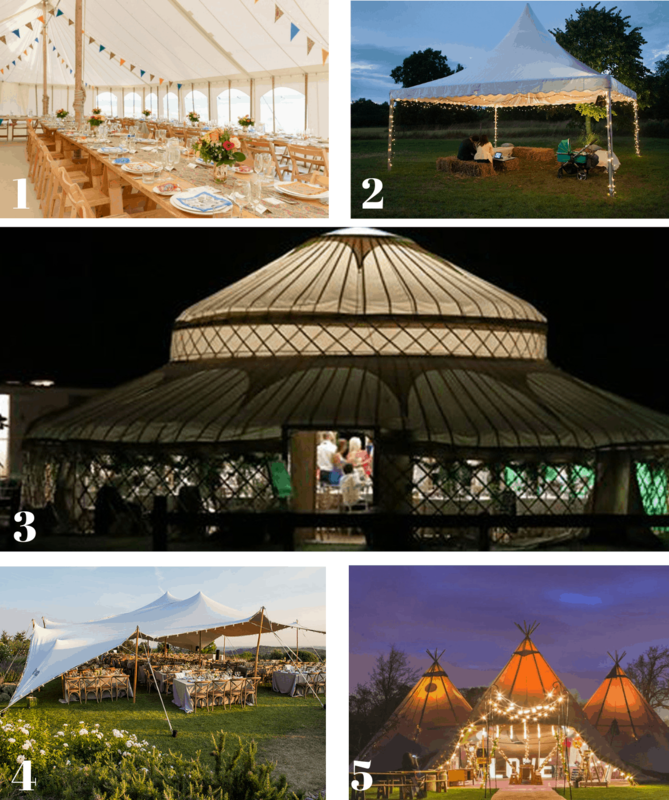 Fortunately many venues that offer marquees as an option in their grounds have thought of these already, but its always worth asking these questions and if any other practical elements may yield hidden costs. 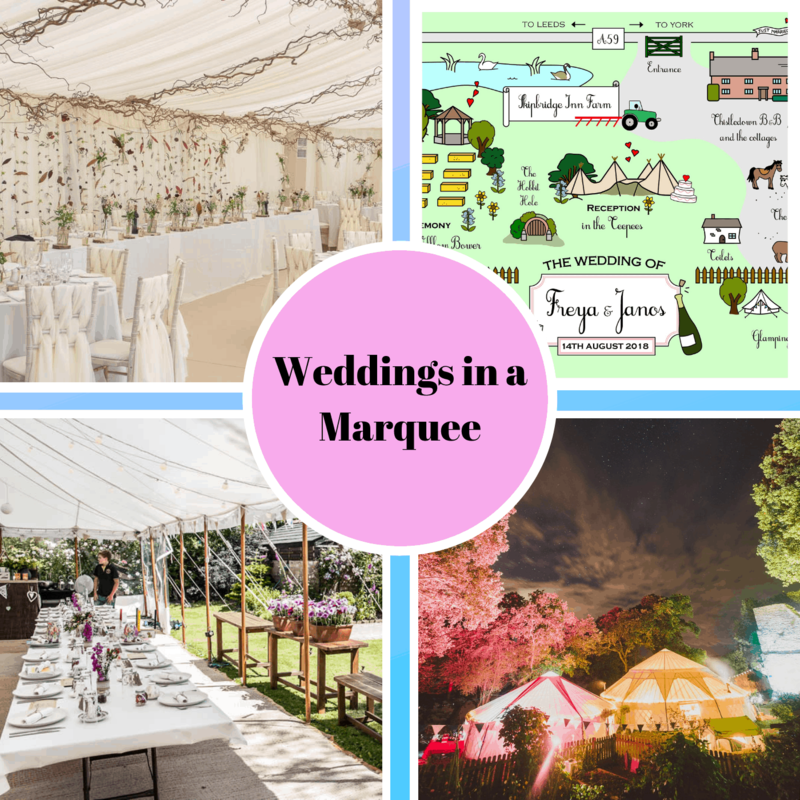 A wedding planner can help take a lot of the stress away from the couple when it comes to planning a marquee wedding. They are often held on private land or at a cross purpose venue such as gardens, farmland or grass etc. If you’re looking for this type of venue local to us at Cute Maps in Bucks or South Northants check out our previous blog story which includes venues Flaxbourne gardens, Stoke Park Pavilions and Crockwell farm. For this post we’d thought we’d give a helping hand to Brides and Grooms local to us searching for their ideal wedding venue. Milton Keynes & Northampton are strewn with beautiful green pockets and quaint villages so there are many beautiful locations and areas to explore. A good rule of thumb when planning your wedding is to expect to spend 45% of your budget on your venue including food, drink and incidentals like decoration, linen, chairs, corkage etc. Here we’ve detailed some great organised wedding venues, but if you’re up for the ‘dry-hire’ challenge and really want to get some bang-for-your-buck and the freedom to plan every aspect your way, there are some wonderful village halls and community centres that you can hire for your special day. www.hallshire.com/ is a great place to start hunting. All price ranges below are a guide and are dependent on time of the year and day of the week. Set in the idyllic village of Blisworth, this quaint ex station-house inn is a cute foodie-loving venue. It is only a short walk from the Grand Union Canal so is perfect for those picturesque photo shoots! Nestled in the the historic town of Towcester, this venue dates back over 400 years and even features in Charles Dickens’ first novel, The Pickwick Papers. Perfect place for a country inn wedding. A beautiful country house set in the ancient village of Woughton on the Green inside the Milton Keynes grid, surrounded by the beautiful Ouzel Valley. You wouldn’t even know you were in the city. This stunning indoor venue can cater for a lavish party or a small gathering. Perfect for urbanites who’d like a contemporary feel to their day or sports fans who can’t get enough of that stadium atmosphere as most function rooms overlook the pitch. Fee for ceremony applies. From £40 per head for evening reception. If you are only having your reception here then a room hire charge applies. This 18th century barn comes complete with farm buildings, courtyard and landscaped lawns, oozing country charm and rustic elegance. This beautiful location, surrounded by forest and countryside also offers very quaint and colourful private cottage accommodation for wedding guests. This is the perfect venue for animal and nature lovers! Set in Woburn Safari Park it is also the perfect location for something unusual and quirky. This dedicated rural Northamptonshire wedding venue offers 2 barns, 4 acres of grounds a licensed bar and a courtyard garden. Packages: £2,750 – £7,250 including overnight stay for the newlyweds, dining equipment, toy box and tv for children, lighting decoration and no corkage charge for the daytime. This popular dry hire wedding venue just above Milton Keynes is situated in a stunning countryside location with a beautiful waterside ceremony option and contemporary rustic barns. This restored Victorian Manor House has a beautiful courtyard, gardens, terraces and a picturesque outdoor space. 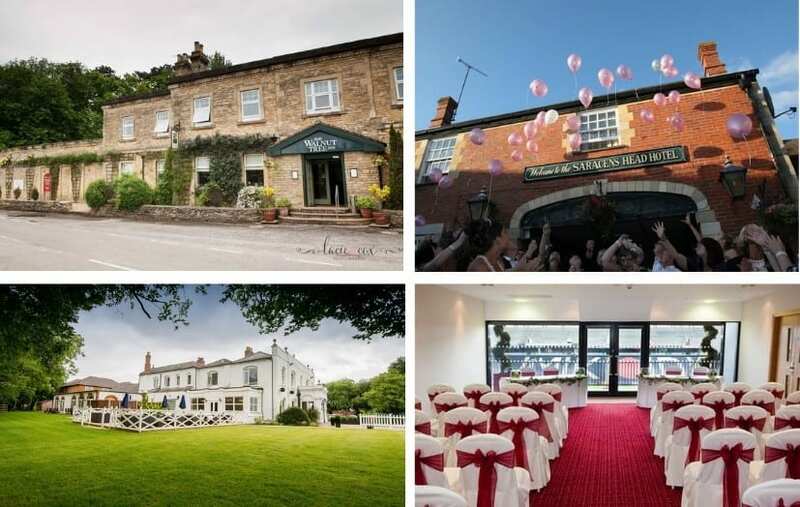 Packages from £2,499 – £5,799 including the use of marquee, terraces and gardens, one drink per guest, dining equipment, stage and dance floor, cash bar, use of a bridal dressing room, overnight accommodation and breakfast for the newly-weds. If you’re looking for the tree-lined driveway leading to an impressive stately façade then Chicheley Hall will tick your boxes. This beautiful 18th century Hall is set in 80 acres of kept grounds and is one of the most popular venues in Milton Keynes. This unique venue in Aspley Guise offers a blank canvas for every bride and grooms dream wedding. You can choose from marquees in the gardens, arches amongst the flowers, candles in the waterfall grotto and much more. 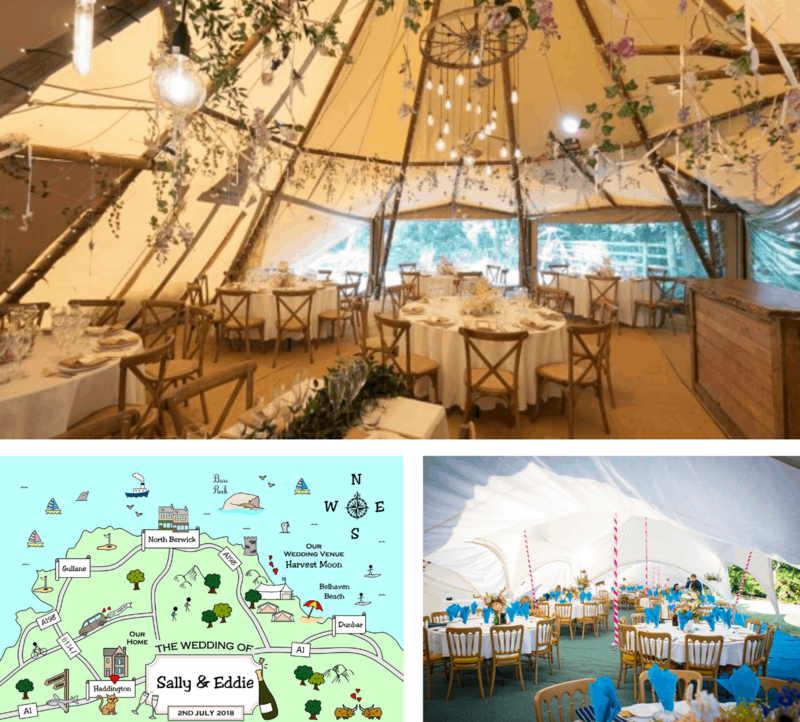 Packages from £3,590 (for 40) to £6350+ (for 100) including food and table drink, marquee, dining equipment, dance floor, outdoor furniture, facilities, cash & card bar, children’s treehouse, helicopter arrival area. This 20-acre private estate dates back to the Elizabethan era and emanates old-school, aristocratic luxury. Their grand state rooms all overlook the stunning gardens which offer the perfect dreamy backdrop to your big day. Truly a statement venue, the Sculpture Gallery set in the grand Wobrun Abbey estate offers a stunning palatial backdrop to your wedding day and even has its own private rose gardens overlooking a small lake. 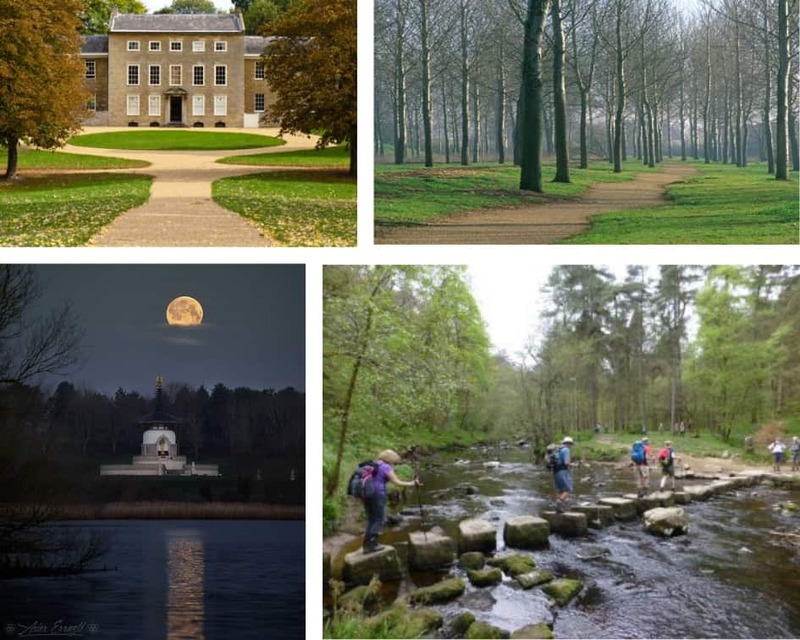 This 1630 Italian Palladian style park is set amid handsome grass and woodlands of Northamptonshire. This historic venue set in 25 acres of private estate offers 3 character barns for ceremonies and receptions. Launch of the Milton Keynes Cute Shop! This week Cute Maps delivers its charming and detailed illustrated map of the city to the MK community and public beyond. This delightful representation of the sites and attractions of this contemporary town is sure to capture the attention of MKphiles and tourists alike. You can view and purchase them through the Cute Maps website http://www.cutemaps.co.uk/product-category/milton-keynes-shop/. The comprehensive design includes landmarks as recent as the Leaping Man Statue to soon-to-be-missed iconic The Point. Stickmen cycle Dansteed Way, wakeboard Willen Lake, fish on Furzton Lake and shear the sheep in the surrounding farmland. The cutting edge architecture of MK Theatre, Intu, Stadium MK & Oxley Park Eco Houses cutely sit amongst the treasured historical landmarks of Bletchley Park, Bradwell Abbey, Walton Hall & Great Linford Manor amongst many, many others. Milton Keynes is Director Sheree’s home town. Sheree recently relocated back to MK where she felt inspired to create a detailed ‘Cute’ depiction of the visionary city. 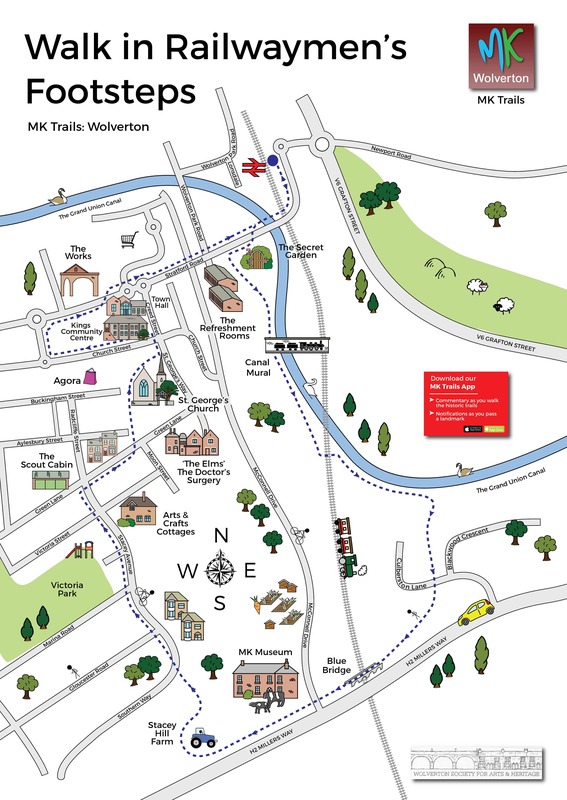 Milton Keynes is very close to Sheree’s heart and she has loved creating this map! 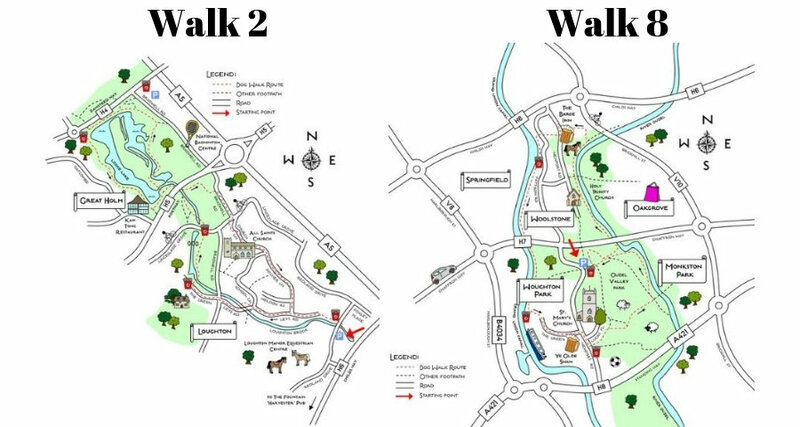 The Milton Keynes ‘Cute Map’ marks Sheree’s first comprehensive map design of a town or city. 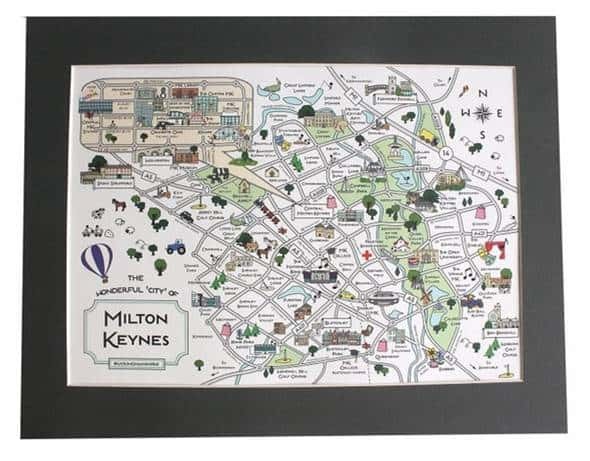 The Milton Keynes Cute Map is currently available as an A4 Mounted Print – great wall art for all MKphiles out there! And more practically as a cotton tea towel. These are available to buy at http://www.cutemaps.co.uk/product-category/milton-keynes-shop/ alongside matching note cards, where you can scribble down your messages to friends and loved ones to a backdrop of our cute & wonderful Milton Keynes landmarks, and mini framed MK motifs in a brushed silver chunky frame: the cutest of all Milton Keynes collectibles! Available as single frames or a set of three landmarks. I’m sure you’ll agree that they are in fact, very cute indeed! Head over to the shop now to get your hands on your very own MK memento!